Delusion #1 CMF DESIGNER IS ONLY TO CREATE COLOR FOR PRODUCT DESIGN. As we have mentioned before, CMF is strongly based on science and psychology. CMF designers gather data and summarise it to crucial business insights with the knowledge from color psychology and cognitive psychology. This bridges the gap between different branches of science and enables the creation of unique experiences. Since every product that CMF design is used on will be sold commercially, it is crucial for CMF designers to understand the business side of designing a product. Which requires strategic and marketing planning and their application into product and market opportunities. To create a CMF design strategy, it requires knowledge of consumer insights and a skill to look five years to the future to gain a competitive edge in the rapidly changing market. Delusion #2 COLORS AND MATERIALS AS AN AFTERTHOUGH. Sure, CMF design can be applied last in the process, but then you are not utilizing the full power of the discipline. To create differentiation for a product to be competitive – or even disruptive – CMF design is vital in the early stages. As a CMF designers, research is the key to understand WHAT problem are we finding a solution for. Our business is to create the next generation product propositions and creating tangible solutions. As said, CMF can be applied as an afterthought. But in so many cases there is a request from clients, even in the business to business category is for variation. Think for example operator variants. In order to create variation through CMF, the material and manufacturing technology need to be selected to be a platform for variability. If that is not the case, demanding variability in the latter part of the process actually can become rather expensive or even impossible. Delusion #3 CMF DESIGNERS WORK ALONE OR SEPARATE TEAM. In the best scenario, CMF designers and Industrial designers work as a team with multidisciplinary specialists varying from audio, mechanics, connectivity, marketing, user experience and interfaces, suppliers, etc. When the concepting starts, CMF and industrial design also begins. This creates the most ideal situation for the proper research and development to happen. Working as a designer is changing. Materials, in our case, define the design work to guarantee the productization. Outstanding results are delivered, when the knowledge of market trends, consumer drivers and different material are the base for ID work. 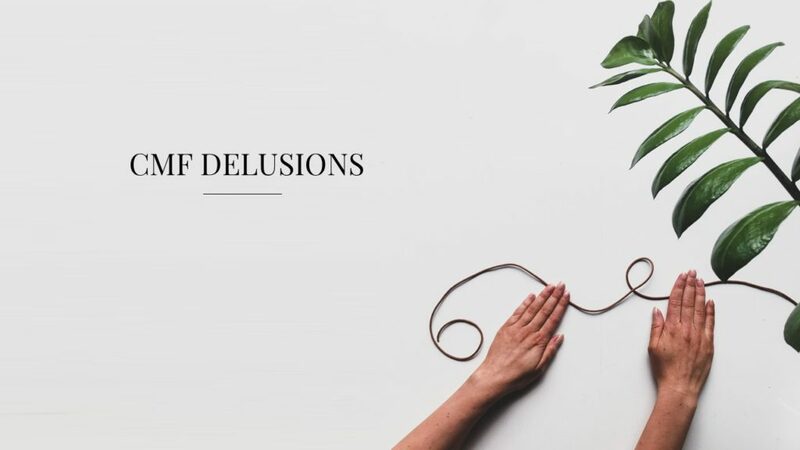 Delusion #4 TREND FORECASTING AND RESEARCH IS BASED ON INSPIRATION AND SHORT-TERM VIEWS. The process of trend forecasting is directly linked with commercial sense, science, analytical thinking and awareness of brands and audiences – and next level – artificial intelligence. In order to keep up with trends, one need to observe consumer behaviour by focusing on the changes in lifestyles and consumption habits. The information can be collected from different industries and sources can be found almost anywhere. Going through the substantial amount of material from different industries and sources, common nominators can be found. These nominators need to be critically analysed to understand what they really mean and where it stands on the ‘trend curve’ – as how relevant it is to your business, are we talking relatively small number or mass market. It also important to find out why the trend even exists and the phenomena behind it – by whom it is adapted and where, how it is affecting the consumers’ behaviour and what it means in terms of services and products. Trend forecasting and research is always based on analytical thinking and commercial sense, not only on inspiration.